In order to install Wars of Liberty, just download the installer and install it as you would install any application. The installer should be able to detect your main AoE3 directory automatically and offer the option of installing WoL in a new directory. In case such option is chosen, the installer will automatically copy all of the content of your main AoE3 installation into that directory before installing WoL. Did you get any errors? Click here. To update Wars of Liberty, just download and run the Wars of Liberty updater. 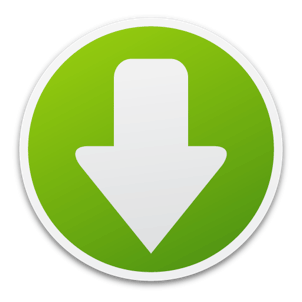 If you have downloaded and installed WoL through the latest installer, then you probably already have the updater! If you have installed Wars of Liberty correctly, after running the updater, a message box will show up asking you to confirm the path in which WoL is installed. If it matches with the one you have chosen to install WoL, just click in “Yes” and the updater will do the rest of the job! The Belgians and Koreans have been released as playable civilizations. The options to play the Age of Empires Campaigns and to update the game have been disabled. Ranged cavalry units should now be able to attack Egyptian Caravans. Covered Wagons, Immigrant Wagons and the Egyptian Town Center Caravan should no longer have their horses/camels placed inside the wagon. The Marine is now a naval infantry unit. Its stats have been rebalanced accordingly. The Zouave is now a heavy ranged infantry unit. Its stats have been rebalanced accordingly. Hand attack bonuses changed from x2 against heavy infantry and x2 against light cavalry to x2 against cavalry and x1.75 against light infantry. Hand attack bonuses changed from x3 against cavalry and x2 against light infantry to x3 against cavalry and x2.5 against light infantry. Hand attack bonuses changed from x2.25 against light infantry and x2 against cavalry to x3 against cavalry and x2.25 against light infantry. The Independentista is now a heavy ranged infantry unit. Its stats have been rebalanced accordingly. Hand attack bonuses changed from x2 against heavy infantry, x1.5 against light cavalry and x1.5 against light cavalry to x3 against cavalry and x2.25 against light infantry. Hand attack decreased from 13 to 10. Ranged attack bonuses changed from x5 against war ships to x5 against ships, x1.5 against infantry, x0.5 against cavalry and x0.5 against light infantry. Hand attack bonuses changed from x5 against ships and x2 against Native warriors to x5 against ships, x1.5 against infantry, x0.5 against cavalry and x0.5 against light infantry. The Factory now has a build limit of 1. Cards like "Robber Barons" and "Industrial Revolution" will increase Factory build limit by +1 each besides delivering a Factory Wagon. Repentant Granadero de Tarqui (WOLRepentantGranaderoDeTarqui). The African Assegai has been renamed to Spearman. Ranged attack bonuses changed from x1.5 against light cavalry to x2 against heavy infantry, x2 against light cavalry, x0.75 against cavalry and x0.75 against light infantry. Hand attack bonuses changed from x3.5 against light infantry and x3 against cavalry to x3 against cavalry and x2.5 against light infantry. The bug that prevented the unit from using its siege attack against buildings has been fixed. Bonus attacks against infantry and heavy infantry removed. Hand attack bonuses changed from x2 against heavy infantry, x2 against light cavalry and x0.8 against Cavalry to x2 against heavy infantry, x2 against light cavalry, x0.75 against heavy cavalry and x0.75 against light infantry. Ranged attack bonuses changed from x3 against heavy cavalry, x2.75 against Coyote Runners, x2 against artillery and x0.5 against Villagers to x3 against cavalry and x2.5 against light infantry. Ranged attack bonuses changed from x5 against artillery, x3 against infantry, x3 against ships, x2 against buildings, x0.25 against cavalry and x0.25 against light infantry to x2 against artillery and x2 against infantry. Ranged attack bonuses changed from x3 against infantry, x3 against ships, x2 against buildings and x0.75 against artillery to x2 against infantry and x2 against buildings. Hand attack bonus changed from x1.5 against villagers to x2 against villagers. Hand attack bonuses changed from none to x3 against artillery, x2 against heavy cavalry, x2 against heavy infantry and x2 against light infantry. Hand attack bonuses changed from none to x3 against heavy infantry, x0.5 against heavy cavalry and x0.5 against light infantry. Armor increased from 40% to 50% against ranged attacks. Hand attack bonuses changed from x3 against cavalry and x2.25 against light infantry to x3 against cavalry and x3 against light infantry. Short-range hand attack bonuses changed from x4 against cavalry and x3 against light infantry to x8 against cavalry and x6 against light infantry. Hand attack bonus changed from x3 against infantry to x2.5 against infantry. Hand attack bonuses changed from x5 against artillery and x2 against heavy infantry to x4 against artillery, x2 against infantry and x2 against light cavalry. Training time decreased from 6 seconds to 3 seconds. Training time increased from 4 seconds to 8 seconds. Training time decreased from 6 seconds to 5 seconds. Training time increased from 6 seconds to 7 seconds. Training time increased from 6 seconds to 8 seconds. Training time increased from 12 seconds to 20 seconds. Hand attack bonuses changed from x3 against heavy cavalry and x2 against Coyote Runners to x3 against heavy cavalry and x2.5 against light infantry. Siege attack decreased from 180 to 150. Armor increased from 70% to 75% against hand attacks. Non-artillery units from the Cantonment and Palace (including the Cantonment and Palace Caravans) now get stronger every Age-up until they become available to train. The Ethiopian cards that delivers Besteiros (Consulate Crossbowmen) have been replaced by cards that delivers Academicos (Consulate Rangers). You may have to create new decks to remove the “ghost” Besteiro-delivering cards from taking up space. This problem does not affect newly-created Ethiopian Home Cities. 16 Besteiros and 3 Horse Artillery: replaced by 16 Academicos and 3 Horse Artillery. The Ethiopian card “Scramble for Africa” now properly delivers 1 Selfenga for every minute of game time up to 30 minutes. The hitpoints of the Zulu Matriarch have been increased from 250 to 300. The Egyptian card "Berthier Rifles" now also increases the attack of Askaris by 20%. The Zulu card "Schutztruppen" now also increases the attack of Askaris by 20%. The Zulu card "TEAM Beer Brewing" now affects the gather rate from Pastures. The Zulu card "Twins" now allows Youths maturing into Umpakatis spawn two units instead of one. The bug that prevented the Egyptian card “Rebellion of Ali Bey” from enabling the Mamluk at Age III has been fixed. The bug that made all of the Egyptian Fellah textures show up as variations has been fixed. The Anglophone Artillery Foundry should be now available at Age II for all civilizations of that culture (Australians, Canadians and the United States). The American Miner now gathers Coin from Mines faster (from 0.5625 to 0.9 Coin gathered per second). The Canadian Mousquetaire du Roi has been replaced by the Troupe de la Marine, a naval infantry unit good at attacking ships and infantry. The bug that prevented the icon of the American and Australian card “Hire Italian Mercenary Army” from showing up has been fixed. The bug that prevented the Australian Rifleman from being affected by the improvement “Dynamic Bullets” has been fixed. The bug that made the Napoleon available at Age IV instead of Age III has been fixed. The bug that made the Whitworth available at Age III instead of Age IV has been fixed. The Chinese leader has been changed from Li Hongzhang to Empress Dowager Cixi. The Chinese card “Beiyang Army” has been renamed to “Xiang Army”. Its effect remains the same. The Chinese card “Huai Army” has been renamed to “Beiyang Army”. Its effect remains the same. The Chinese card “Hire Mandarim Mercenary Army” has been replaced by the “Ever Victorious Mercenary Army”, which delivers Huais and Manillamen. The Chinese card “TEAM 5 Tartas” have been replaced by the “Hire Huai Army” card, which delivers Huais. The Japanese Ikko-Ikki has been replaced by the Miko as the Monk for that civ. Daimyo Masamune (Wonder-enabled): replaced by Gensui Nagaoka Gaishi. The cards “Bakufu” and “Warring States” have been replaced by “Kazoku” and “Genro”, respectively. The effect of the new cards remains the same. The Japanese Gunto Rider now has a new icon and portrait. The Japanese cards "Mountain Warrior" and "Stream of Enlightenment" have been replaced by the "Kamigakari" and "Kagura Dance" cards. The effect of the new cards are the same of the old ones. The bug that prevented the Imperial Age (Age V) upgrade for the Japanese Joukisen from appearing at the Dock has been fixed. The Japanese Joukisen should now be able to use the “Broadside Attack” ability. The name of the Balkan artillery units (Mule Artillery, Schneider Gun, Schwarzlose and the Romanian Plague Catapult) now changes after being upgraded to Army and Aristocrat status. The size of the Star Fort has been decreased, making it easier to build both by the player and especially by the AI. The Serbian card “Great Migration” now properly delivers 1 Peasant for every minute of game time up to 30 minutes. The number of Sokols delivered by Serbian cavalry-delivering cards after sending “Sokolovi” has been increased (Age III cards deliver 3 Sokols and Age IV cards deliver 4 Sokols). Outpost Wagons now build Caserns as fast as they build Outposts, Blockhouses and War Huts for other civilizations. The description of the Bulgarian card "Nestinarstvo" has been edited to mention that only the Opalchenets Pobornik is able to take down Incendios (instead of all infantry, as previoulsy mentioned). The bug that prevented the Romanian card “Steel Crown” from enabling Hajduks at the Domnitor has been fixed. The bug that prevented the Serbian Sokol from making nearby units stronger when it dies has been fixed. The Grenadier now has a new texture. The Portuguese Cassador now has a new texture, and now uses the Atirador icon and portrait. The Habsburg Princess "Princess of Orange" now also reduces the build limit of Trossen from 89 to 49 besides enabling Banks. The Portuguese Atirador has been replaced by the Ultramarino, a light ranged infantry unit specialized at attacking mercenaries, Spy-like units (Spies, Camorristas, Coronels, Geishas, Inquisidors and Ninjas), Explorers and Native warriors. The British Royal Decree improvement “Roger’s Rangers” has been renamed to “Royal Marines”. The 26 Skirmishers delivered by this improvement will be renamed from “Roger’s Ranger” to “Royal Marine” upon arrival at your Home City Gather Point. The Maltese Royal Decree improvement "Cacciatori Maltesi" is now available for research at Age III instead of Age II. The Portuguese Royal Decree improvement “Besteiros” has been replaced by “Academic Battalions”, which delivers Academicos (renamed Rangers) instead of Besteiros (renamed Crossbowmen). The Ottoman card “TEAM Silk Road” now mentions that it also increases the amount of resources obtained from Trade Routes. The Portuguese cards “Gunpowder Infantry Attack” and “Gunpowder Infantry Combat” now benefits the Line Infantry and Ultramarino instead of the Musketeer and Atirador, respectively. The Russian Pekhota now has a new icon and portrait. The Russian Royal Guard upgrade for the Dragoon (Kalmucks) has been replaced by a Royal Guard upgrade for the Cossack (Don Cossacks). The Russian card "6 Dragoons" (infinite) has been replaced by the “7 Cossacks” card (infinite). Ranged attack bonuses changed from x3.5 against heavy infantry and x1,5 against light cavalry to x3.5 against heavy infantry and x2.5 against light cavalry. Hand attack bonuses changed from x3.5 against heavy infantry and x1,5 against light cavalry to x3.5 against heavy infantry and x2.5 against light cavalry. Reiter: cost increased from 100 Food and 150 Coin to 150 Food and 150 Coin, armor against hand attacks reduced to 30% (from 40%). The unit upgrades for the Spanish Infante de Marina now require either a Dock to be build or sending one of the four cards that deliver this unit before they become available at the Barracks. The French card "TEAM Early Skirmishers" now has a new icon. The Maltese card “Auberge” now mentions that the Tea House, instead of Saloon, is upgraded to Auberge. The bug that prevented the British Redcoat from being affected by the "Socket Bayonet" improvement has been fixed. The bug that prevented the icon of the Dutch card “Dutch Counter Cavalry Force” from showing up has been fixed. The bug that prevented the name of the Ottoman Imperial Deli from showing up has been fixed. The bug that prevented the Ottoman Deli from showing up at the Fort has been fixed. Wagons pulled by cows used by Latin Americans (Agricultural Wagon, Covered Wagon, Outpost Wagon, etc.) had their speed reduced from 4 to 3 and now have 40% more hitpoints, as originally intended. This does not affect wagons pulled by horses (like the Immigrant Wagons). The Bacamarteer now gets automatically upgraded to Brave and Skilled status once the player reaches the Capital and Industrial Age (Age III and Age IV), respectively. The Carbineer now gets automatically upgraded to Brave status once the player reaches the Capital Age (Age III). The Chilean leader (Manuel Montt) now uses a new portrait. The Brazilians and Mexicans now have access to the same Agricultural Wagon used by the Italians. The Chilean Carbineer’s Royal Guard upgrade “Carabineros de Ejercito” has been renamed to “Celadores”. The unit is now called “Celador Carbineer” instead of “Army Carbineer” after being upgraded. Due to popular demand, the old icon and portrait of the Colombian Independentista has been added back to the unit. YAY! The unit can now be upgraded to Brave, Skilled and Presidential status. Trample attack bonuses changed from x0.75 against villagers to x2 against infantry. The Peruvian Morochuco now benefits from hunting upgrades. The Peruvian card "2 Cholos" had its Age requirement moved from the National Age (Age III) to the Enlightenment Age (Age I). The Peruvian card "Powerful Woman" now only increases the attack and hitpoints of Mariscalas by 50% (from 75%), but it now also affect Rabonas. The Chilean card “Cordero Magallanico” now properly delivers 1 Sheep for every minute of game time up to 30 minutes. The Chilean Age V politician (“The Conservative”) now uses a new portrait. The Peruvian Morochuco now gets affected by improvements and cards that increases the gather rate from hunted animals. The bug that prevented the Argentinean Montonera from appearing at the Fort train list has been fixed. The bug that prevented the Colombian Llanero from appearing at the Fort train list has been fixed. The bug that prevented the Haitian card “Society of the Friends of Blacks” from making Trading Posts spawn a Pied Noir when built has been fixed. The bug that made the Haitians have two Age V upgrades for the Aspide, Gonada, Pasavolante and Pedrero has been fixed. The bug that prevented the Peruvian Brenero, Legion Peruana and Morochuco from appearing at the Fort train list has been fixed. The bug that prevented the Guarani Catechumen from showing up at the Ruca after building a Trading Post on a Guarani native settlement has been fixed. The card "Advanced Trading Post" now properly reduces the Coin cost of Inca Trading Posts. Chinese Brigade: delivers 15 Chu Ko Nus, 12 Banner Cavalrymen and 4 Flamethrowers. Town Rickshaw: delivers 1 Town Rickshaw. Japanese Brigade: delivers 17 Samurais, 1 Gensui and 3 Kanouhous. Consulate Attack: increases the hitpoints of all Consulate units. American Brigade: delivers 14 Marines, 4 Cavalry Corps and 2 Gatling Guns. Treaty of Amity and Commerce: exchanges all your Coin for a greater amount of Export. Japanese: the United States replaces the Spanish as allies. British Brigade: delivers 13 Highlanders, 7 Scots Greys and 2 Rockets instead of 16 Roger’s Rangers and 5 Falconets. Dutch Brigade: delivers 11 Marechaussees, 13 Flankeurs and 2 Mortars instead of 28 Zwarte Hollanders and 4 Mortars. French Brigade: delivers 8 Grognards, 13 Foreign Legionnaires and 2 Falconets instead of 15 Gendarmes. German Brigade: delivers 11 Czapka Uhlans, 6 Totenkopf Hussars and 1 Heavy Cannon instead of 19 Czapka Uhlans and 15 Prussian Needle Guns. In the case that, for some reason, you can't use the updater or you keep getting connection errors while using the Updater and those errors persist, even after you did the recommended steps and, besides of that, you also have difficulties to access WoL's website, then you will probably need to install the patches manually to keep the mod updated. In order to use the manually installable patches, just download them and extract them to the directory in which WoL is installed. The following links are only meant for those who get unsolvable connection errors in the Updater or that can't use the Updater. Only download the patches through the following links as a last resort. Attention: After installing 1.0.11a manually, in order to ensure proper patch functionality, you'll need to run the "1011a_postupdate.bat" file, which will be present at the folder in which you installed WoL. Attention: After installing 1.0.11 manually, in order to ensure proper patch functionality, you'll need to run the "1011_postupdate.bat" file, which will be present at the folder in which you installed WoL. Attention: After installing 1.0.10a manually, in order to ensure proper patch functionality, you'll need to run the "1010a_postupdate.bat" file, which will be present at the folder in which you installed WoL. Attention: After installing 1.0.10 manually, in order to ensure proper patch functionality, you'll need to run the "1010_postupdate.bat" file, which will be present at the folder in which you installed WoL. Attention: After installing 1.0.9g manually, in order to ensure proper patch functionality, you'll need to run the "109h_postupdate.bat" file, which will be present at the folder in which you installed WoL. "How do I install it in the Steam version? In order to install it in the Steam version, you need to set the installation path at install time to the directory where the AoE3 Steam version is located, which is usually Program Files\Steam\SteamApps\common\Age of Empires III\bin. Additionally, you can make a copy of your AoE3 installation and install and run Wars of Liberty on this copy, without having to rename folders or change registry back and forth." ----- by making a copy is that the same as copying the whole directory, installing WOL, then pasting it into the directory again? can u decide which executable to use? or how does the installation work? Paciencia, joven, que ya viene. "No se encuentra el punto de entrada del procedimiento _GrannyFixupFileSection@12 en la biblioteca de vínculos dinámicos C:/ Program Files (x86) / MicrosoftStudios/ Age of Empires III -Complete Collection / Bin / Age3y.exe. First of all I would like to congratulate the creators of age of empire war for liberty. It 's a dream to find a big mod for this old game thank you so much ! Unfortunatly I can't launch the game. The first problem was "Initialization failed. Could not loas DATAPY.BAR". So I right click on the icone of age of empire war fo liberty -> open file location -> data -> copy/paste "data.bar" in the file "age of empire 3 -> rename "data.bar" by "datapy.bar". I have Age of empire complete collection on steam. My friend have age of complete collection with a crack and they don't have any problem the game run correctly. Please anybody can help me ? Did you delete all the .xmb files in your AoE III folder?